Weekly Photo Challenge: One | Oh, the Places We See . . . The WordPress Weekly Photo Challenge: One already has outstanding entries (Click here to see them all), but I wanted to add another to the list: the idea that you may be able to save one sea turtle if you can move the whole nest to safety. 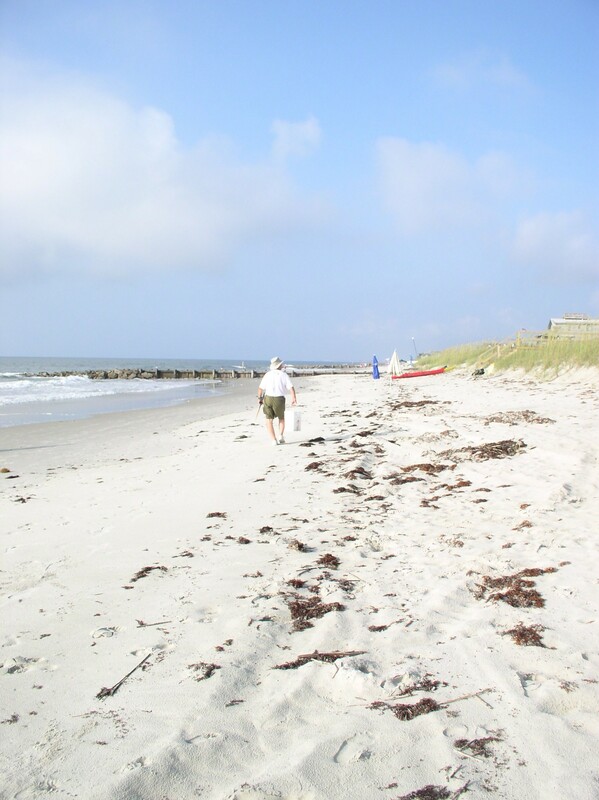 At Pawleys Island, volunteers scout the coast each morning during nesting season, looking for nests laid the night before. 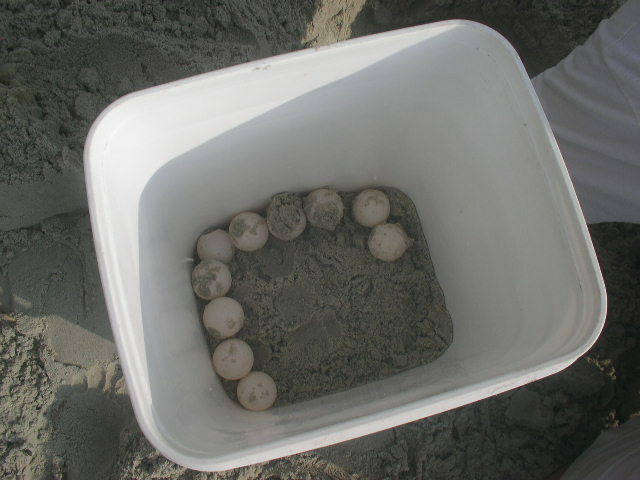 If found, the eggs (shaped like ping-pong balls) are moved — one egg at a time, in the reverse order of how they were laid, with the same orientation in which the mother turtle placed them. I was told that even with the careful attention to digging, moving, and replacing, most hatchlings never make it to life in the sea. Some are snatched up by predators; some can’t find their way. But the volunteers feel strongly that if one turtle survives due to the salvage efforts, the work will have been worth it. 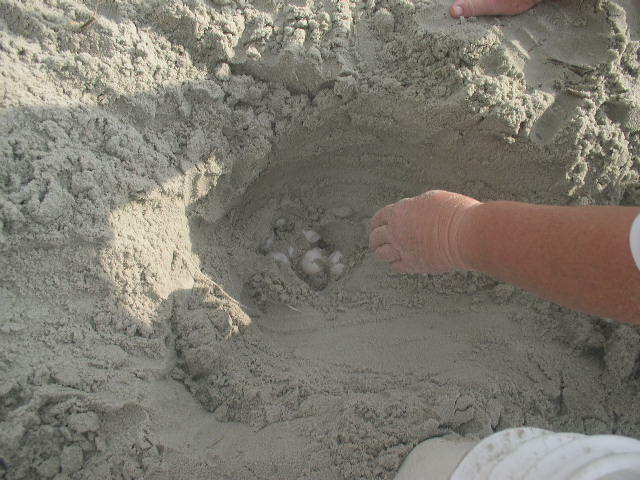 My entry for the Weekly Photo Challenge: One (seen above) is the last turtle egg to be placed carefully in the bottom of a bucket. 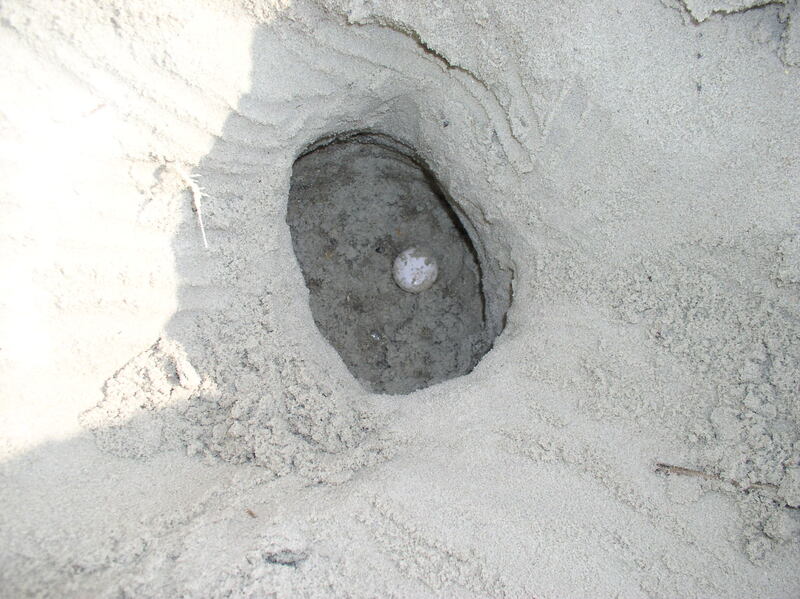 Along with the others, this one egg will be toted down the beach and moved to a safer spot. Ah, the power of one. To see more entries in the Weekly Photo Challenge: One, go here. This entry was posted in Photography, South Carolina, Travel, Weekly Photo Challenge and tagged beach, Pawleys Island, safety, sea turtles, Weekly Photo Challenge. Bookmark the permalink. Pingback: Morning walk creekside: Pawleys Island, South Carolina | Oh, the Places We See . . . Thanks to the volunteers and their private initiatives many things are taken care. Hope you had a nice Christmas. Had a lovely Christmas. Taking down decorations today. On to a lovely New Year! Hope you have much good health and happiness in 2014. Thank you Rusha, my Christmas decorations stay up for the first week into the New Year to bring lights and sparkles as a good wishes. 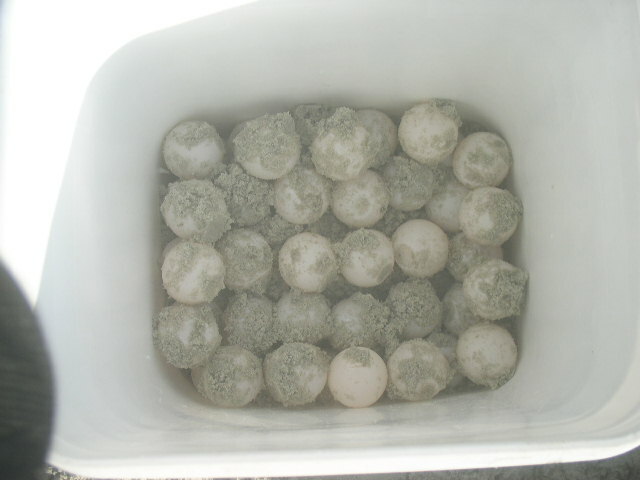 We have a very active turtle patrol here on Kiawah and have over a hundred nests every year. Their lives are so precarious, its thrilling to see them make their way over such steep odds. Excellent choice for the challenge! Thanks for the compliment. I’ve been fortunate to be walking the beach at just the right time to see two of these rescues. I marvel at people who come out each day just for this purpose. Merry Christmas!